This entry was posted in Book Reviews, Faith and tagged bible, book review, Christ, church, disciples, discipleship, God, gospel, Gospel for Asia, Great Commission, K.P. 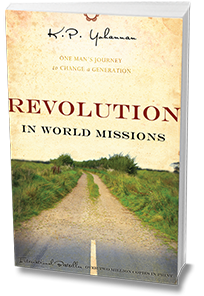 Yohannan, missions, national missionaries, Revolution in World Missions. Bookmark the permalink.